We rounded up some wicked cool activities for both daredevils and scaredy-cats to enjoy. Halloween at Barnaby Castle. Photo from Barnaby Castle’s Facebook page. Fall is in the air, trees are losing their leaves and adults and children alike are hunting for the best-of-the-best Halloween costume. It’s that time of year again for haunted houses, pumpkin carvings, apple picking and a slew of other fun-filled fall activities. We collected some of the best eerily entertaining events for you and your whole family to enjoy this Halloween. It’s that time of year again at Barnaby Castle in Providence. Halloween at the Castle is just around the corner on Oct. 27 from 8 p.m. to midnight. 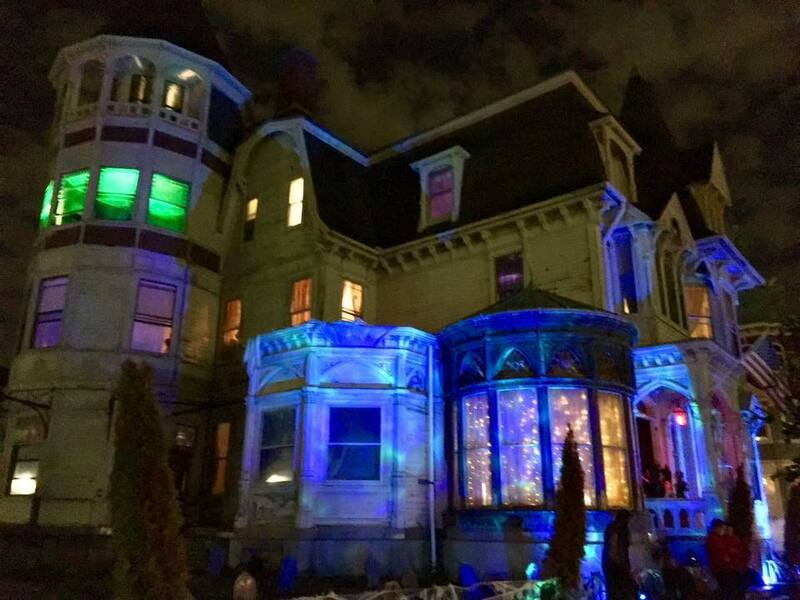 Built in 1875, the mansion is hosting a party that includes an open bar, music from Miss Wensday and Signature Sounds deejay and tasty treats from local eateries. VIP Tickets get you access to all three floors as well as the top of the turret, a full open bar and more delicious bites. General admission tickets are $100 per person, and VIP is $200 per person. This is a twenty-one and older event. Both ticket levels include entry into the epic costume contest and complimentary valet parking. Proceeds from this event go towards restoration and preservation of the castle. Located just over the Massachusetts border deep in the woods at Seekonk Speedway, Fear Town is a massive outdoor haunted attraction that is unlike anything you have ever experienced. Make your way down the trail for a terrifying journey in and out of the run-down buildings that have been hidden for decades with monsters coming at you from all angles. This event is not suggested for children younger than twelve. Fear Town is open Sept. 28 until Nov. 3. Times and prices vary. Visit the website for more information or buy tickets here. Run by the nonprofit organization Rejoice In Hope Youth Center, Haunted Labyrinth in Cranston is celebrating thirty-four years of being the longest-running haunted house in New England. This is a fun and scary attraction for any age and is open rain or shine. On Saturday nights, you can enjoy deejay Miikey B’s Haunted House party. The Haunted Labyrinth is open Sept. 27 until Oct. 31 from 7–10 p.m. Admission costs $12 with cash and $13 with credit cards. For more information or to purchase tickets, visit here. Come down to Big John Leyden’s Tree Farm in West Greenwich for Rhode Island’s premier haunted attraction, Field of Screams. Get on a haunted hayride featuring the Dungeon of Doom, The Grand Illusion, and 4-D Cirque Du Souls. Also available is Zombie Paintball, an interactive attraction aboard a military truck that travels through a zombie apocalypse. These attractions are open from Oct. 6–31. Prices and times vary. To purchase tickets or find more information, visit the website. Celebrate the 2018 anniversary special at Factory of Terror. Featuring five spooky attractions, the Ghost Cemetery at Centerville Falls, Psycho Alley, Dracula’s Hideaway, Blackout and Asylum of Screaming Souls, this factory is not for the faint-hearted. Open 7–10:30 p.m. Friday–Sunday starting on Oct. 5, with a special opening on Halloween night. General admission tickets cost $20–$22 and VIP Tickets cost $35–$40. Tickets are available for purchase on factoryofterror.com. Join the renowned New England paranormalist and Old Slater Mill interpreter Carl Johnson for a ninety-minute guided tour and after-dark investigation of the historic 1793 Old Slater Mill factory, the 1810 Wilkinson Mill waterwheel bay and the 1758 Sylvanus Brown House for the Mill and Mysteries Paranormal Investigations. Doors open at 8 p.m. with the investigation starting at 8:30 p.m. Investigations are scheduled for Oct. 18 and Oct. 25. Tickets are $18 per person for ages fifteen or older. Call 401-725-8638, visit their website or brownpapertickets.com for more information or to purchase tickets. Explore the world of the Underland in the newest immersive haunted experience with REVEL Factory and TEN31 Productions. This year’s event is like nothing they’ve done before. Visitors enter Underland (a twisted version of Wonderland) to explore the world, interact with the characters and figure out what is really going on. Shows are scheduled every half hour from 7–10 p.m. on Oct. 18–20 and Oct. 25–27. The show is suggested for children older than twelve. For those twenty-one and older, you can also dance the night away in costumes at the Closing Night Underland Ball from 10:30 p.m.–1 a.m. on Oct. 27. Tickets prices vary and can be purchased here. Providence native and cult horror writer Howard Phillips Lovecraft will be the subject of the annual walking tour and film series during Flickers’ Vortex Sci-Fi, Fantasy and Horror Film Festival. The tours led by the Rhode Island Historical Society will route along to the site of Lovecraft’s former home as well as other local landmarks mentioned in his famous stories. The tour will take place on Oct. 20, 21 and 27 at noon and will last for approximately ninety minutes. Tickets cost $19 per person and include the tour as well as admission to the closing program of the Vortex Film Festival. Purchase in advance by calling the RIIFF office at 401-861-4445 or online here. Come one, come all to the third annual Halloween CarnEvil at Newport Vineyards on Oct. 26 from 7 to 11 p.m. Celebrate at the costume party with Circus Dynamic jugglers and TEN31 performers while listening to devilish beats by deejay Jay Buff from 92 Pro-FM. This is a costume party strictly for those ages twenty-one and older. Tickets cost $45 per person and will include a creepy cocktail hour with appetizers and one drink, although a cash bar will also be available. 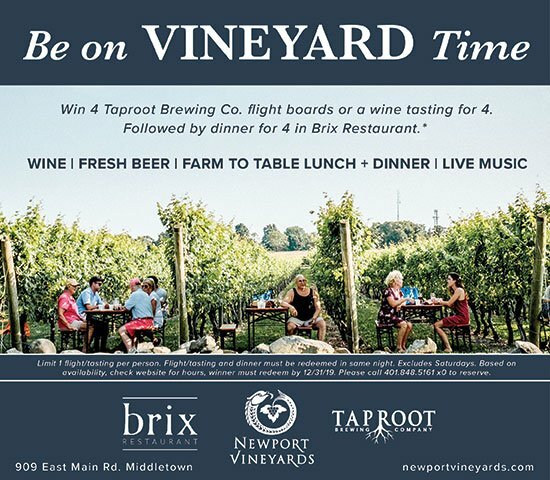 Tickets are available for purchase at newportvineyards.com. Join the Friends of North Burial Ground in Providence for the third annual ghost tour. Your tour guide will lead you by lantern light on a walk from grave to grave at dusk as you listen to stories of the lives and deaths of a number of Rhode Island residents. Tours start at 4:30 p.m. and depart every ten minutes or so with the last tour leaving at 6 p.m. Tour content/themes are aimed at adult audiences. For those who wish to enter the costume contest, wear your Halloween costume and arrive at 4 p.m. Admission is free but a $5 donation towards the preservation and maintenance of the cemetery is encouraged. Spooky Zoo is back at Roger Williams Park Zoo on Oct. 27 and 28 from 10 a.m. to 3 p.m. Trick-or-treat on the Treat Trail by the red wolf exhibit and partake in more fun fall activities. This event is free with admission and children twelve and younger dressed in costume get in for half-price. All activities are weather permitting and while supplies last! Visit rwpzoo.org for more information. 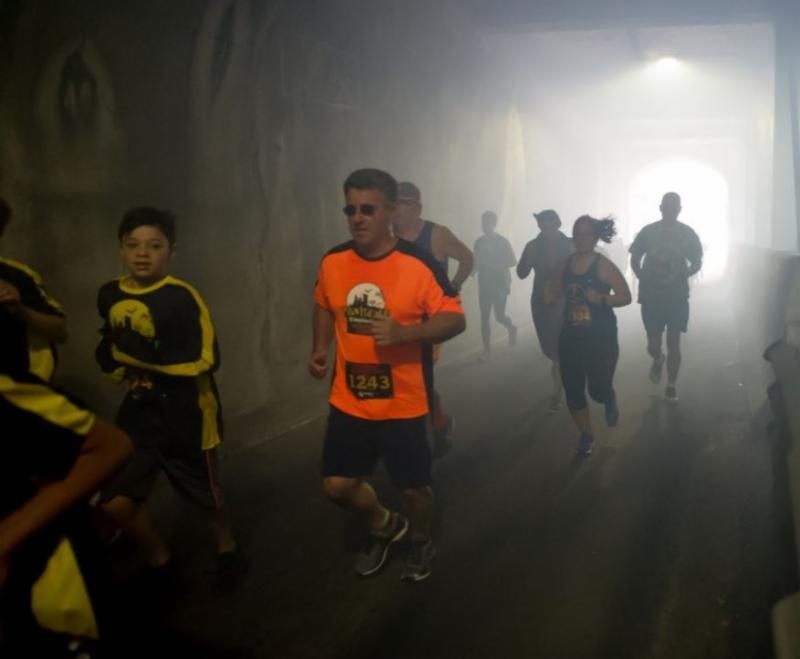 Run through the RIPTA tunnel, but warning, there will be zombies and special effects as you dash to the finish line. The Providence Monster Dash five-k will start on Oct. 28 at 10 a.m. and the children’s Monster Dash will begin at 9:30 a.m. Each race finisher will receive a medal and the first 1,000 people to register will receive a long-sleeved race shirt. Entry fees vary. For course information or to register for the race, click here. Board the Rum Runner II at Bannister’s Wharf in Newport and sail around the bay to Rose Island, where you will be told haunted tales that are sure to make you hear things that go bump in the night. A ticket for this event costs $50 per adult and $30 per child younger than twenty-one. The tour will take place from 3–6 p.m. on Oct. 28. Refreshments will be served. To register, click here.